Posted on July 2, 2007 by Alicia Bay Laurel	in Blog and tagged travel diaries. 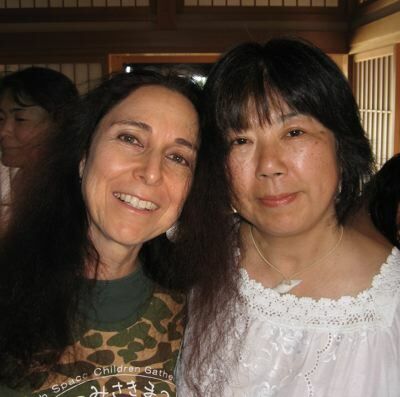 After our dinner in Nara, Sachiho and I got into Ryoko’s van, and Ryoko drove us to Fumonji Temple in the lovely seaside town of Ako. 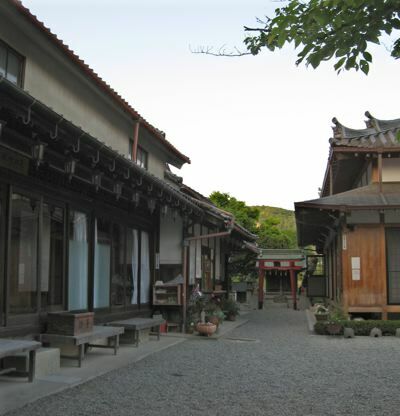 We arrived late at night and bedded down in the dormatory (above) of the temple on futons in a tatami matted room. 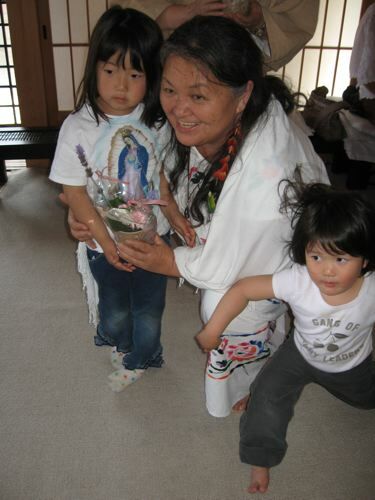 Already a group of women slept in the next room; all had come for a Mothers Day celebration organized by our dear friend Mana Koike (who created and runs the Alohana spiritual center on Oshima), in part to honor a visit by Clara Shinobu Iura, one of the Council of Thirteen Indigenous Grandmothers. 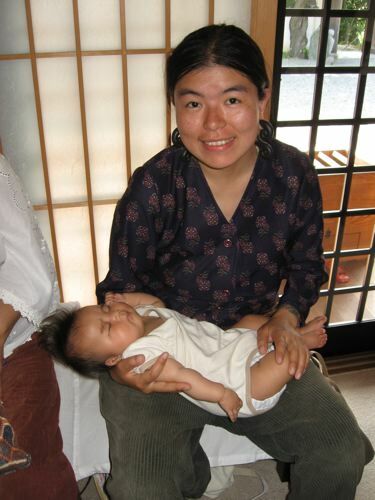 Clara’s an indigenous tribeswoman TWICE; her parents are Ainu tribespeople from northern Japan, but, because of her birth, lifetime and work in Brazil, she identifies herself with the indigenous people of the Amazon. 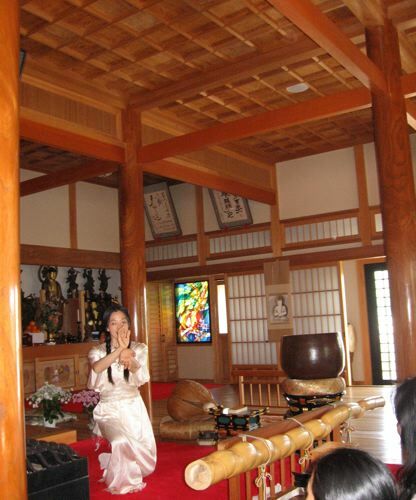 Fumonji Temple had to be the perfect location for the celebration, as it is the home of a famous 1200 year old statue of the Goddess of Compassion, Quan Yin (Kannon in Japanese). 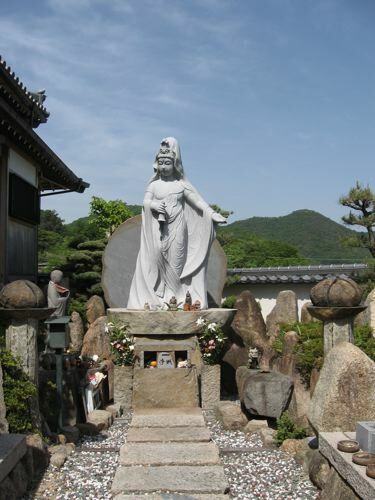 And also, the keeper of the temple, Eiyu Fujimoto, a Zen Buddhist nun of the Soto tradition, is revered as a great mother. 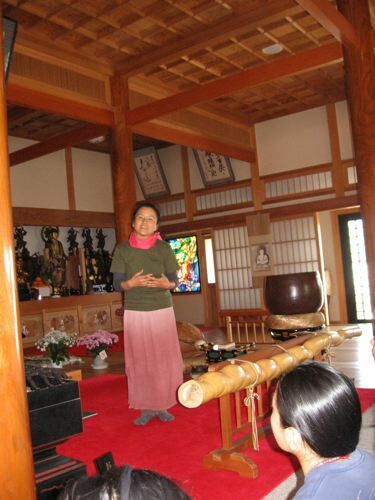 Most people call her Eiyu Sensei (teacher). She’s seventy, but she’s got skin like a teenager, and the loveliest smile. 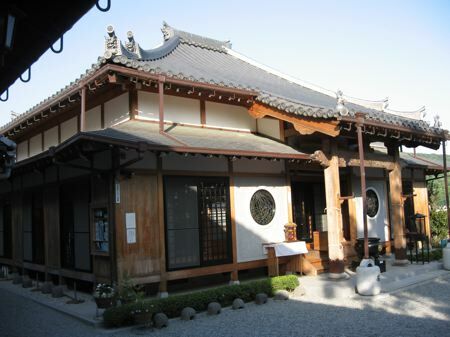 The old temple had been in great disrepair when Eiyu took the reins some years back, but through persistent hard work, enormous patience, and good cheer, she inspired people to donate funds and labor, and the temple was renovated to its current perfect beauty. 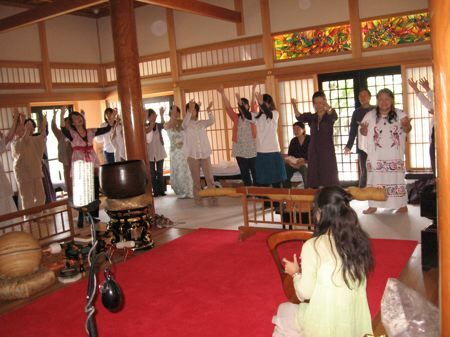 We gathered in the temple and sat quietly for a while. 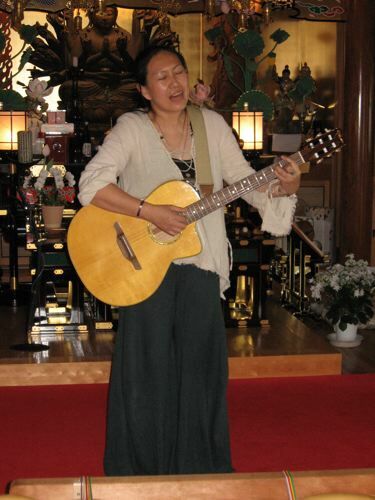 Our celebration began with a musical offering by spiritual singer/songwriters Takahiro and Rie, who played the day before I did at Happy Flower Beach Party music festival last October in Nago, Okinawa. Next, beautiful Minaru danced her Earth Dance. She teaches this. After Minaru, an a capella vocalist sang two of her songs. Then a singer songwriter performed with guitar. 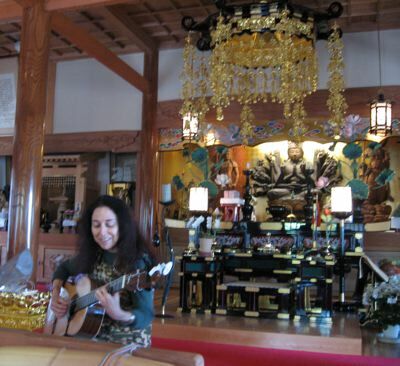 I borrowed Takahiro’s guitar (I’d already shipped mine back to Tokyo), and performed a couple of songs. I had to sing sitting down because the strap was not adjustable. 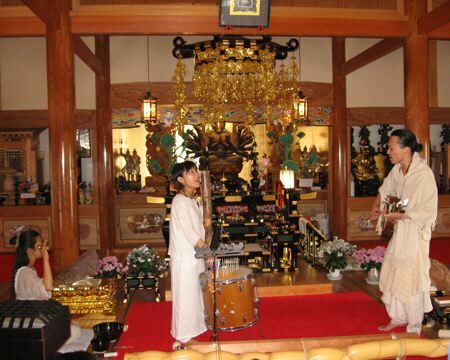 Last of all, Sachiho performed her spiritual songs. 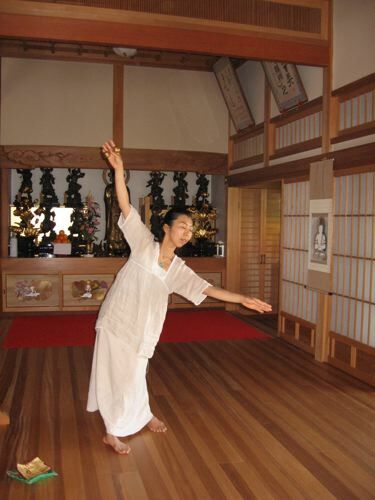 Mana, with infinite elegance and grace, danced to Sachiho’s singing. 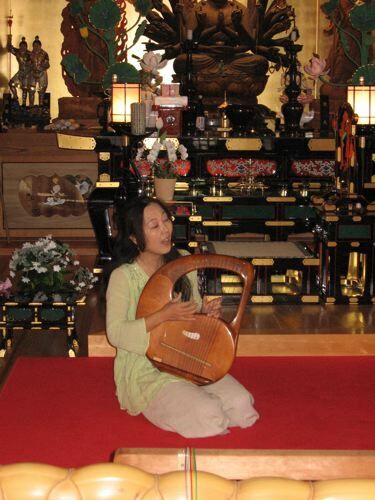 Sachiho’s last song was her husband, Donto’s, song “Nami,” which almost every hippie lady in Japan can perform as a hula. Even Clara was dancing. After the performances, some little children brought Clara a gift. There was a new mother to be celebrated that day, too. 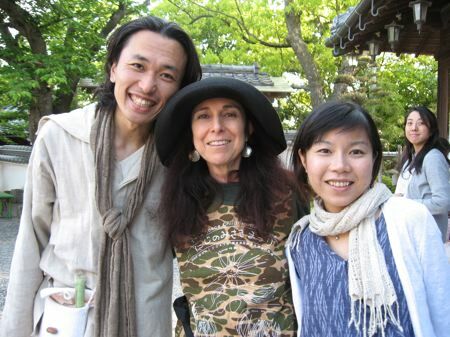 I thanked Takahiro for lending me his guitar and was delighted to connect with him and Rie again. Another friend I hadn’t seen since the 2002 tour on the Big Island of Hawaii that I set up for Amana came to the celebration. Her name is Miki, and she’s a ceramic artist. Before everyone left, we gathered for a big, happy group shot, and I got a special hug from Clara, whose first language is Portuguese; we could meet on a common ground in Spanish, which we both speak as a second language.